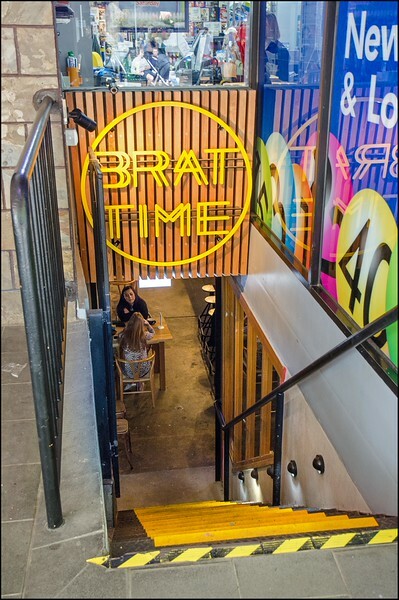 And so do the good folks at Hobart’s best hot dog joint, Brat Time! While descending the stairway to sausage was a breeze sober, I can imagine the hilarity attempting the same feat late on a Saturday night with a few bevvies under your belt and the sounds of the local cover band ringing in your ears! The Brat Time menu is unashamedly snag-centric, and for this self confessed carnivore I wouldn’t want it any other way. 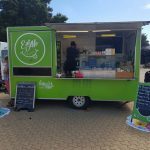 Pork, wagyu, cheese kransky, chorizo, German bratwurst and even a veggie banger are just some of the options available as the centrepiece to the ‘Brat’ of your choice’, with internationally flavoured toppings varying wildly from Mexican to Thai to Hawaiian. I couldn’t go past the original Brat Time hot dog, consisting of a pork sausage, spiced pulled pork, rainbow slaw and rhubarb relish ($10.9). If I hadn’t had such a large breakfast I may have been tempted to also order a serve of their beef chilli cheese fries ($8) and some onion rings with spicy mayo ($7)…perhaps even an icecream brioche ($6.5) to finish…but alas, my belly isn’t limitless. 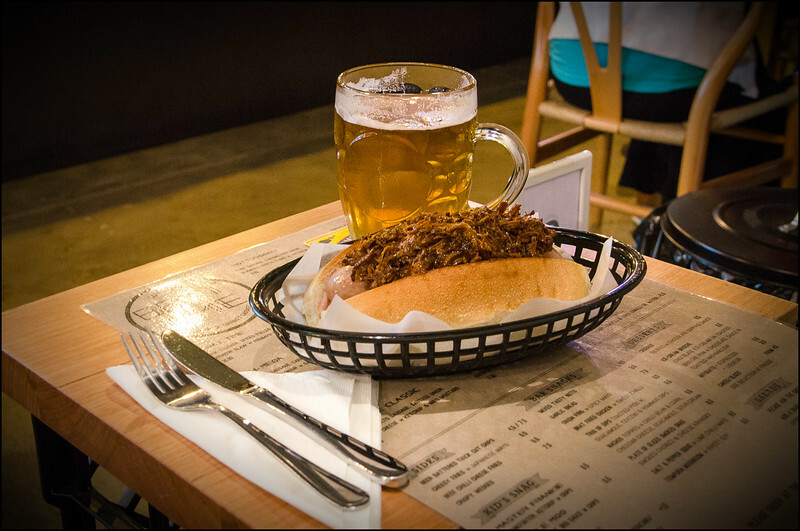 There’s always room for a beer though, and their $7 ‘pint of beer with any hotdog purchase‘ deal sounded too good to refuse! A pretty decent combo. The manager confirmed that the pulled pork had been cooking overnight, and the evidence was in the flavour. Full, smoky and rich, it would have been good enough on its own, let alone with a lightly spiced sausage and sour ‘slaw beneath! As boring as it sounds, knife and fork are probably the way to go when trying to get one of these bad boys down your throat. Use of hands is guaranteed to result in a nasty case of pork beard syndrome. 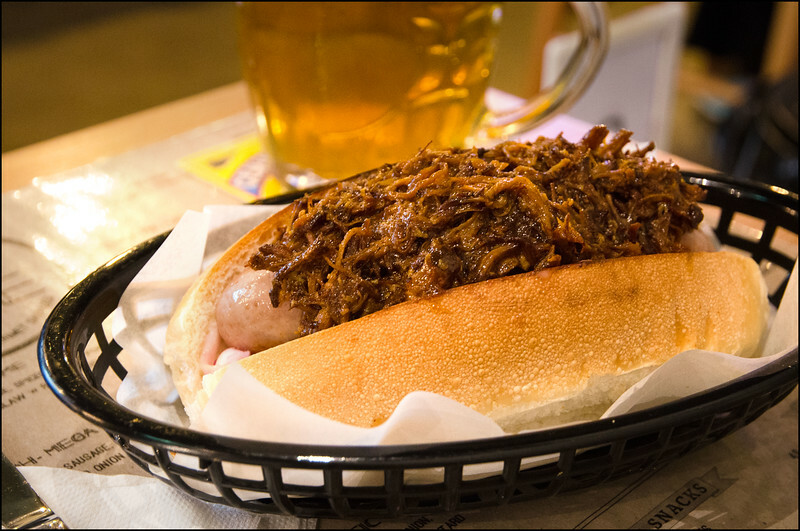 Sourced from local producers such as Wursthaus, Vermey’s Meats and Bok’s, the range of bangers is seriously impressive, and should be enough to impress even the most discerning hotdog connoisseur. Throw in an array of American munchies for sides and this has the makings of one of Hobart’s best options for a lunch or late night feed! 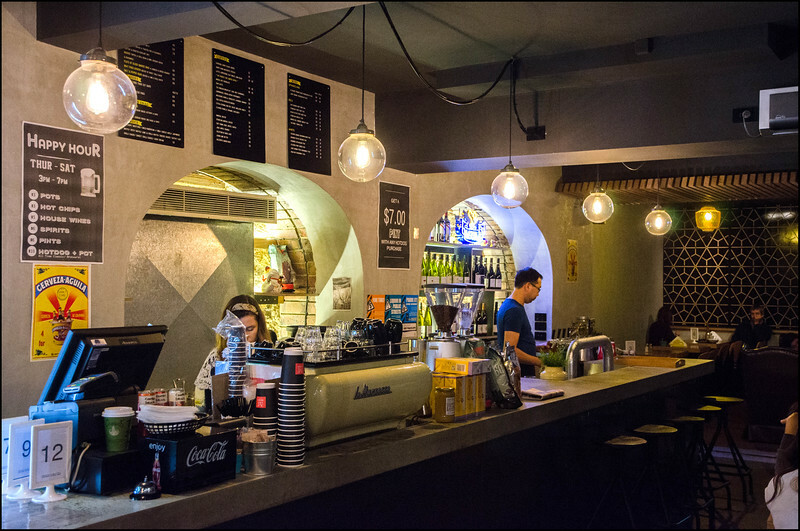 The service was friendly and efficient, and the manager proved very open to discussing the menu and venue in general. Their first anniversary isn’t that far away now which is a fantastic effort considering their low profile and unusual location in the middle of Elizabeth Street Mall (next to Beaujangles). It’s cheap, it’s cheerful, it’s sausage, it’s good!